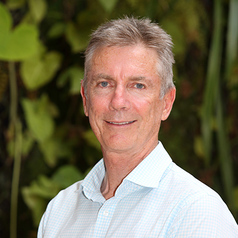 Professor Bill Bellotti has more than 30 years' experience in leading agricultural production system research in southern Australia, western China, and eastern India. His expertise includes agronomy, climate variability and change, farming systems and integrated approaches to food systems. Professor Bellotti's research in China and India has focussed on sustainability and food security, and more recently on the linkages between diversification of cropping systems, dietary diversity and empowerment of women farmers. His research interests include the application of Life Cycle Assessment approaches to Australian food systems. This interest includes the development of concepts such as sustainable diets and food footprints. At the Global Change Institute he looks forward to engaging the diversity of views and expertise across the University of Queensland and other stakeholders to promote more healthy, sustainable and equitable food systems.